Going into The Disappearing Girl, I already had an inkling of what I was going to expect out of the story. However, I didn’t expect how much it would affect me. I didn’t expect how realistic the story would be and how words and grief could distort someone’s image and confidence. The Disappearing Girl really brought out the horrific downward spiral of a person suffering from an eating disorder. It was shocking and cringe-worthy, but also heart-wrenching. This book really showed how destructive an eating disorder could have not only the person who has it, but along with everyone associated with that person. 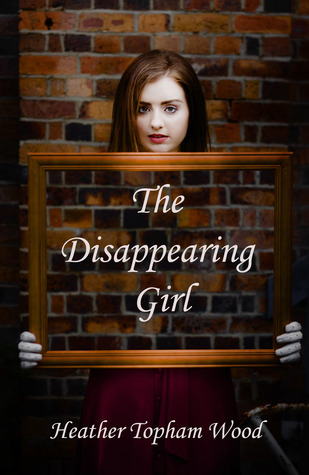 The Disappearing Girl showed how the disorder can hurt and unravel one person. More importantly, this book deals with real issues, such as depression, anorexia, and bulimia. It showed how the desire to be thin has made girls self-destruct and allowed them to poison their own image of themselves. Kayla was a character that started off weak, but became a better version of herself by the end of novel. Her transformation, both the bad and the good was very hard to read. Kayla was a girl who suffered from grief from her father’s death along with her mother’s severe criticisms. Kayla lacked self-confidence and self-esteem. She was someone who had so much self-loathing because of her mother’s constant belittlement. It was really tough to read Kayla breaking down and giving in to her mother’s whims. In The Disappearing Girl, Kayla goes through a very rough patch, her body and food become at war with each other. What Kayla went through had me reeling with disgust, but she also left me inspired and proud. What I really enjoyed about this novel was while the main focus was Kayla and her issues with her eating disorder, there was also romance that helped give Kayla a support system along with her family and friends. Cameron was the shining star in the book because though he had his own issues, he was nearly the perfect boyfriend for Kayla. He loved her despite what her disorder was doing to their relationship. He stayed by her, encouraged her, and didn’t just stand by and watch her destroy herself. He knew how beautiful Kayla was inside and out, no matter how much she weighed. I couldn’t find one bad quality about him. I loved what Heather Topham Wood did with The Disappearing Girl. She gave Kayla an authentic voice and really brought out the issues she was going through to the forefront. What I really enjoyed about this book was how it made me angry, sad, bothered, and hopeful while reading. It was a book that invoked all sorts of emotions. I was really invested into the story and what Kayla was going through. Best of all, the pacing was set in a way that really made the whole story hit you right where it needed to. It does the job of opening your eyes to the real issues girls face no matter what age. I really liked that Wood wasn’t afraid to hold back and truly showed the gruesome effects extreme measures of dieting can do. She really showed that we are in control of our bodies and with the right help, we can prevail and we can overcome. 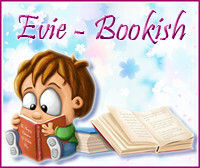 Overall, The Disappearing Girl was a striking novel that was powerful and uplifting and one book every girl must read. 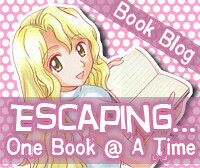 You can follow the tour to see reviews, guest posts, and excerpts by clicking the button. This is a very inspiring story. Also teaches that words can hurt and that everyone deserves a chance at happiness. Wow, this sounds really deep and emotional. I have this book actually, but I haven't really thought to pick it up. I definitely will make more of an effort to try to get to it now. Great review!! The way you described it, sounds so amazing. I've always wanted books like these to read because I don't understand why someone would have these disorders. I want to know what it's like for her to go through these things and how they can change for the better with her family and that guy, Cameron. Honestly. Great review. Can't wait to read about Kayla.